Common Core changes: A teacher explains how they changed English instruction. The ongoing hysteria over Common Core can make the new educational standards seem terrifying: Children will never read novels again! Creative writing is dead! The math makes no sense! But what do the changes actually look like? I recently caught up with a veteran middle school teacher who says the changes brought on by the standards are far more complicated, and in some ways subtler, than some might have you believe. Valerie Lake teaches eighth grade English at Lower Manhattan Community Middle School in New York. She walked me through exactly how Common Core has changed how she teachers her students. Before Common Core, Lake’s students might have read seven different stories during a unit on short stories. But this year’s units, which vary in length, will include far fewer readings with more time devoted to each one. In one unit, Lake’s students will spend two months reading, rereading, and analyzing just three texts—speeches by Shirley Chisholm and Sojourner Truth and an op-ed by Venus Williams—during a unit focused on women’s rights. “You have to make choices about what you want to read with the understanding that you’re going to read less than before,” says Lake. Hopefully the extra time will help students become more confident identifying how “text structures”—the decisions a writer makes about how to present an argument—work to strengthen the writing. By the end of the unit, Lake hopes her students will be able to articulate why Chisholm’s use of jarring statistics in her 1970 congressional address lend credibility to her argument against workplace discrimination against women, or how emotional language can work to generate support for a position. And they’ll learn how to return to a text again and again, finding new things each time. English classrooms have traditionally been dominated by literature. Common Core calls for a more even split between fiction and nonfiction reading, and with that shift comes a decline in emphasis on reading simply for comprehension’s sake. “Before Common Core, it was, ‘What is the theme? Let’s find it together,’ ” said Lake. Now, she asks her students to scrutinize single paragraphs, even single sentences, repeatedly to figure out how the authors successfully communicate their theme or argument throughout an entire text. No longer does she ask basic comprehension questions that require students to regurgitate facts from the text without much original thought. “You’re now being asked to think about and synthesize what you’ve read and come up with your own thoughts,” says Lake. When Lake’s students begin reading Inside Out and Back Again this year, a novel by Thanhha Lai about a young girl who arrives in Alabama as a refugee from Saigon during the Vietnam War, they’ll do so without much help from their teacher. The Common Core has transformed classroom reading from a largely teacher-guided activity to one that students frequently tackle solo. In past years, “a lot of the text was read as a class,” says Lake. But the Common Core standards specify that students should be able to analyze the “technical, figurative, and connotative meanings” of words and phrases on their own. To help her students get used to navigating difficult texts independently, Lake now reads a portion or all of the text with her students and then leaves them to their own devices for the second and third reads. 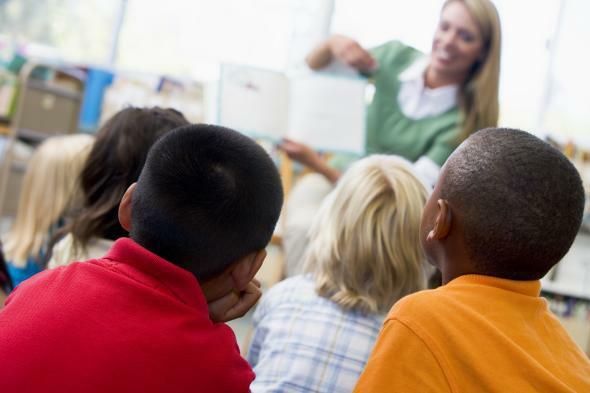 This teaches them perseverance and how to glean different information from texts during multiple reads, like the author’s purpose or how a character’s behavior furthers the theme. Spending time alone with the texts, especially nonfiction ones, helps grow more confident readers who are better prepared to grapple with texts on their own on standardized tests, Lake says. Teachers say many novels and short stories became staples for different grades simply because that’s what was available in the textbook. But the Common Core calls for increased rigor, and this has meant shuffling around what students read, and when. When Lake first started teaching in 2002, she chose books somewhat arbitrarily, focusing on finding stories she thought her students would be interested in or would connect to on a personal level. She taught several Walter Dean Myers novels, such as Monster, a popular story about a 16-year-old black boy on trial for a robbery that ended in murder. Engaging plot lines are still very important in her classroom, but Lake says the novels she taught her students at the beginning of her career weren’t challenging enough, despite the high interest her students had in them. The standards have forced her to raise her own expectations about students’ abilities, and pushed her to find harder texts that her students can learn to love. This year her students will read Harper Lee’s To Kill a Mockingbird, a novel that in some places has traditionally been taught in high school, not eighth grade. While reading the novel, they’ll also pour through news media from outlets like Democracy Now! about related and more contemporary events, like the death of Michael Brown and the protests that followed in Ferguson. The students are still reading novels—but they’re reading much more than that, too.